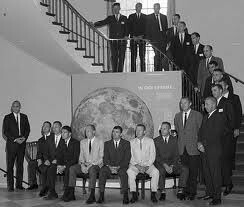 On May 25, 1961, President John F. Kennedy, as part of his speech to a joint session of Congress, challenged the United States to send an American safely to the Moon before the end of the decade. The Mercury, Gemini, and Apollo Missions were developed to achieve that goal. From 1968 to 1972, NASA’s Apollo astronauts tested new spacecraft and expanded space flights, established the technology to meet other interests in space, achieved preeminence in space for the United States, carried out a program of scientific exploration of the Moon, and developed the capability to work in the lunar environment. Kennedy’s goal was achieved on July 20, 1969, when Apollo 11 commander Neil Armstrong stepped off the Lunar Module’s ladder and onto the Moon’s surface. 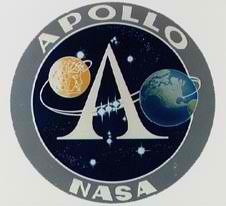 The Apollos were three-part spacecrafts: the command module which included the crew’s quarters and flight control section; the service module for the propulsion and spacecraft support systems; and the lunar module to take two of the crew to the lunar surface, support them on the Moon, and return them to lunar orbit. The boosters for the program were the Saturn IB for Earth orbit flights and the Saturn V for lunar flights.